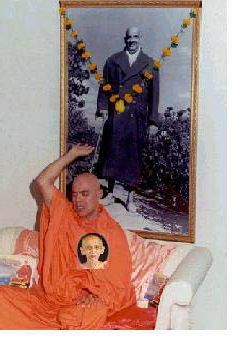 Sri Swami Adhyatmanandaji Maharaj of the Sivananda Ashram, Ahmedabad, is a beloved disciple of H. H Sri Swami Chidanandaji Maharaj. Writing an introduction about Swamiji is extremely difficult because words will always fall short of describing him. How can you capture an infinite personality with finite words? He is a dynamic yogi having a multifaceted, magnetic and versatile personality. He is a spiritual giant who touches the heart of everyone who comes in contact with him. Swamiji naturally radiates peace, love and divinity. People from all walks of life find solace in his holy presence. He is approachable to one and all, whether he is a chief minister or a celebrity tennis player or a common person. His unparallel devotion, loyalty and obedience to the master in all circumstances is noteworthy. He is one of the most sought after speakers in India and abroad. His lectures are a spontaneous outpouring of divine wisdom. His ability to make the esoteric subject of spirituality simple through a perfect blend of humor, melodious singing and down to earth practical approach put him in the class all by himself. Swamiji is well known for his ability to lead kirtans to the highest ecstasy through his melodious voice and supreme devotion. He is embodiment of love purity, and truth. For more than a quarter of a century, he has been incessantly spreading message of Holy Master Sri Swami Sivanandaji Maharaj all over the world. “Bear insult and bear injury that is the greatest Sadhana,” so says Swami Sivanandaji Maharaj. And that our beloved Swamiji Maharaj has made the guiding principle for himself. "Swami Adhyatmanandaji can attend to eight things at a moment. He generates the Hasya Rasa, Karuna Rasa, Santa Rasa etc., in the persons who come in contact with him and they are elevated to a spiritual height forgetting their conditioned existence." "A great star in the Galaxy of Divine Life, Model yogi, dynamic speaker, outshines even John Gray and Caroline Myss! An evening not to be missed!" 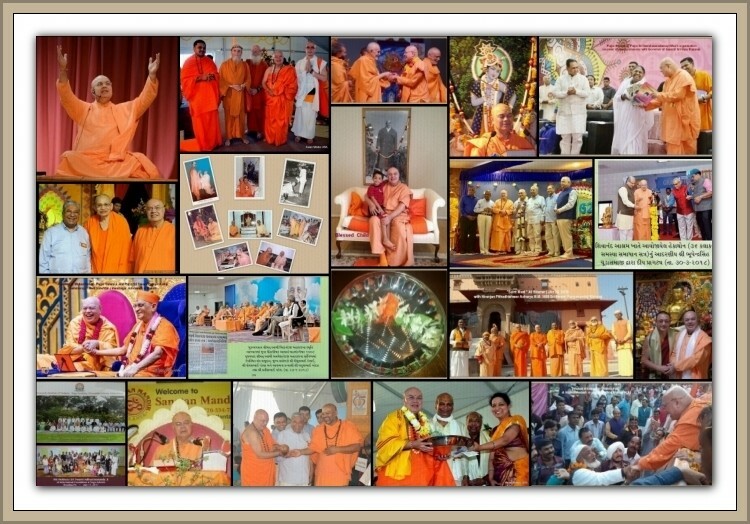 "Swami Adhyatmanandaji – a Divine Healer, Crest-jewel of Divine Life Society, A personality beyond the realm of words… His whole being is so multifaceted that it cannot be circumscribed in words!"